About 100 feet long and 6 feet wide, the falls are officially cascades but appear more like a giant set of rapids during high water times. 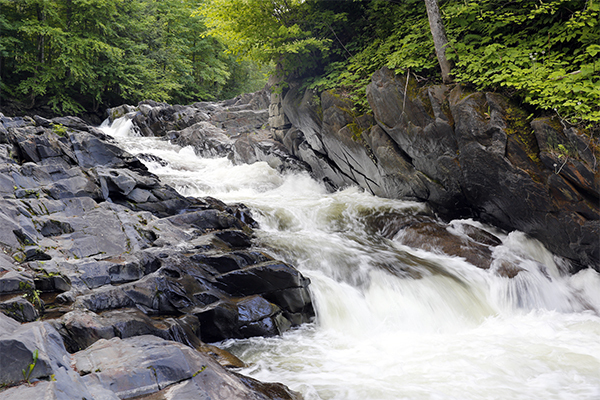 At the top of the formation, water cascades steeply for 5 feet before turning 90-degrees. 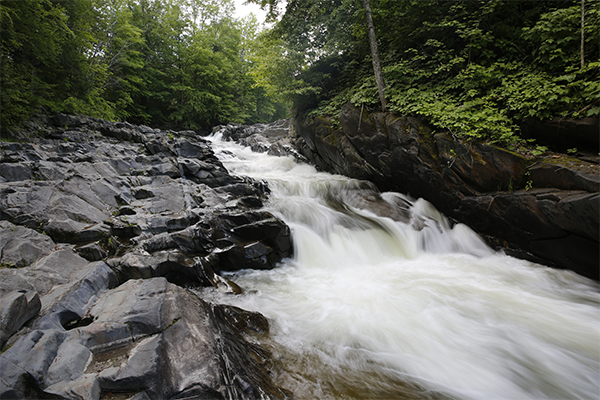 In the spring, rainbow trout migrate up the Willoughby River and skip up the falls. It's a remarkable sight that's worth trying to plan a visit around. 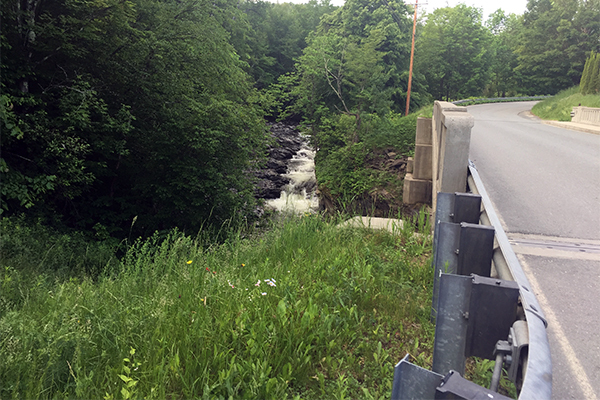 The falls are partially visible from the bridge on East St. If you would like to explore them up more intimately, walk upstream on a dirt road that parallels the river, which will be on your right. The falls are 100 feet up the dirt road on the right, visible after descending a set of stairs down towards the river. From St. Johnsbury, take I-91 north to exit 26 in the section of Barton known as Orleans. Turn onto the combined highway US-5 south and VT 58 east. US-5 south will almost immediately break off to your right. Continue straight on VT 58 east for 0.6 mile and turn left onto East St (shown as Tarbox Hill Rd on some maps). Be aware that the East St sign is nearly impossible stop when you are heading in this direction. Travel northeast on East St for 0.2 mile and take a right into the Germain A. Choiniere Willoughby River Access Area parking area. 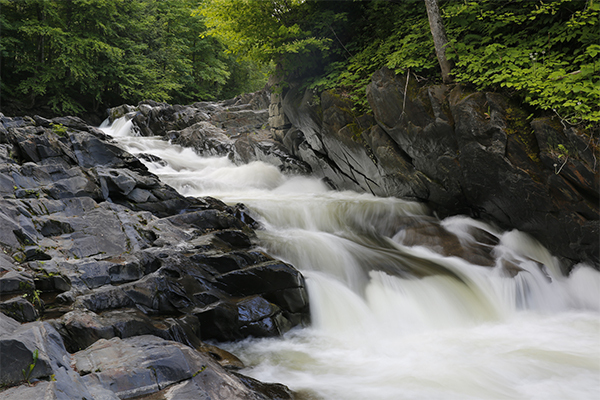 This area is managed by the Vermont Department of Fish and Wildlife.